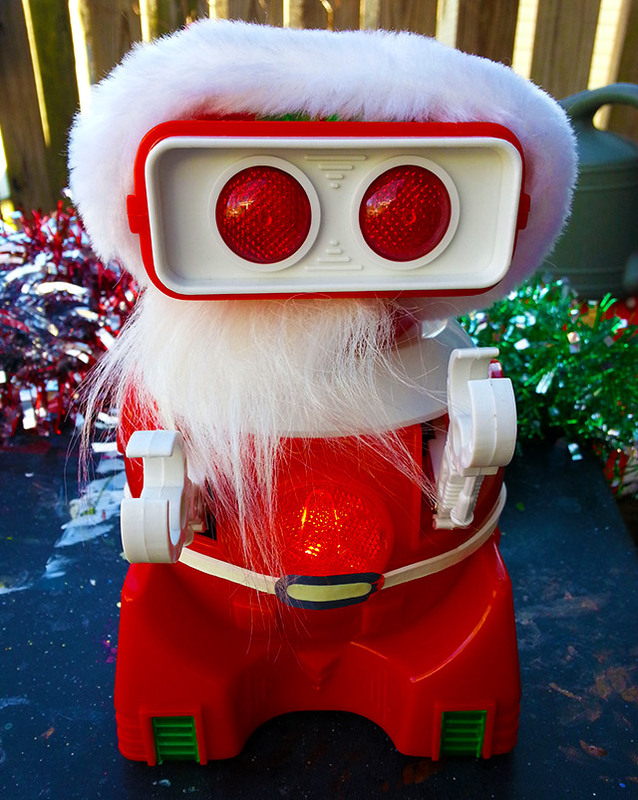 I have crazy love for Santa Robot. | Dinosaur Dracula! 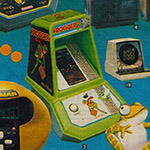 I’ve never been happier, and it’s all because of Santa Robot. You’ll notice the crude “$2” scribbled on the box. For the record, I didn’t pay that. I paid far more than that, actually. 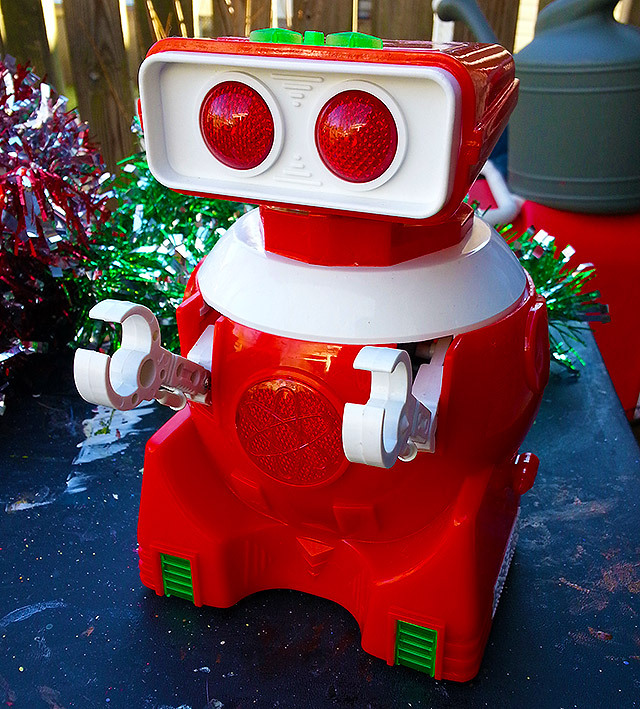 I paid a price so hefty that if the end result was anything BUT Santa Robot, I’d feel so ashamed. 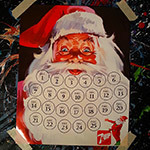 At around eight inches tall and with significant bulk, Santa Robot is my new best friend. That may be understating things, because I’m not entirely sure that what I feel for Santa Robot is purely platonic. Both the box and the seller made big promises, but unfortunately, Santa Robot no longer works the way he’s supposed to. 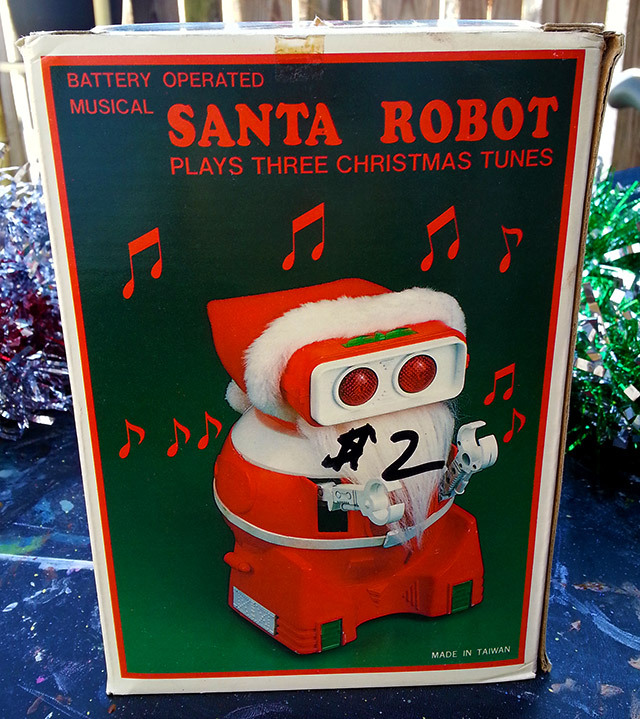 He still plays music and you can still sort of make him light up, but in his prime, Santa Robot rolled around independently while waving his adorable crab claw arms. 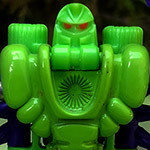 I’m almost glad that he no longer does those things, because it could’ve transformed my affection into obsession, and it wouldn’t have been long before this robot’s face was tattooed on my modest bicep, surrounded by a flamingo pink heart. Watch that video to hear Santa Robot sing his song, which I think is a medley of Joy to the World, Jingle Bells and Rudolph the Red-Nosed Reindeer. Admittedly, the song is so excruciatingly tinny that listening to it for even half a minute could drive a man to disaster. The Greeks had their Sirens, and I suppose the Catholics had Santa Robot. It’s okay, though. 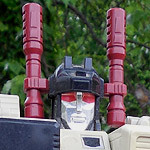 All I really ask of Santa Robot is that he sit on a nearby shelf and never stop looking pretty. 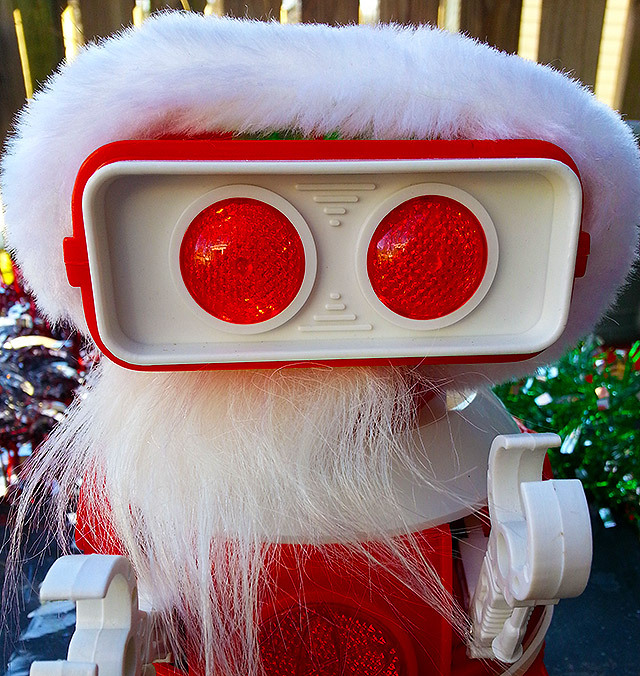 After Christmas, I’ll be free to remove Santa Robot’s accessories, effectively turning him into Regular Red Robot. In fact, it’s likely that Santa Robot was normally sold that way, before some entrepreneur got the idea to slap a beard on him for doubled profits. I know this post is short, but there are only so many synonyms for “love” and I’ve already plowed through 90% of them. 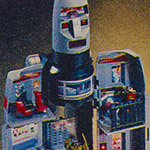 Santa Robot isn’t the best thing that’s ever happened to me, but he’s definitely in the top 20. 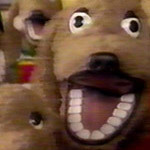 I think I’d sandwich him between my 5th grade birthday party and the time I completed the whole set of Rose Tea animal figurines. Thank you, Santa Robot. You’ve made the 2014 Christmas season a little less spotty.